A new release: WiFi Manager 2.1.3. I also fixed a couple of crashes, one of which merits a small story. There is a setting in the application to play a sound when it discovers a new open network. To let the user pick the sound, I used RingtonePreference, which is a class built into Android for picking a sound (does just what it says on the box… nice). Some manufacturers make changes to Android’s UI components, the ringtone picker included, and as it turns out, one of them, Samsung, didn’t properly test their modificaitons for the Galaxy S.
The ringtone picker on the Galaxy S crashes if the applciation reqests that the “None” option not be included in the available sounds list. My application did exactly that, because it has a separate checkbox to enable or disable sound notifications. Now, this option is a standard part of Android. It’s documented, it’s supported on all Andorid versions, but Samsung didn’t properly test their modifications to this class. Nice. But it doesn’t end here – I’ve been seeing crash reports in this code “from the field” in my Market Developer Console for a few months now, but the device was listed as “Other”. Does it make sense that one of the most commercially successfull Android devices is listed the same as a non-name device from an unknown manufacturer? Wait, it gets better – apparently, Google’s own Nexus S, which is also affected by this bug, is also listed as “Other”. So all this time I just assumed that the app crashed on some weird device with broken firmware and ignored it. The end of this story is that the bug is a really trivial one, and it’s fixed in this release, but it could have been fixed a long time ago (or not be there at all) if only Samsung and Google had set their quality bar just a little bit higher. 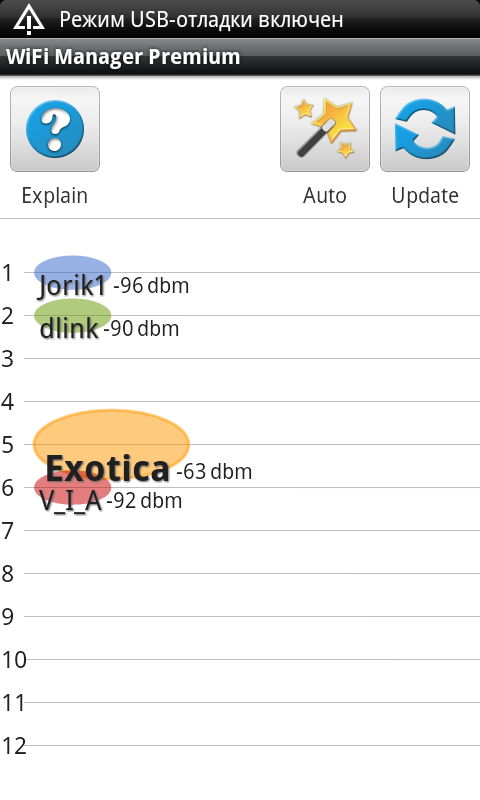 I want to add that my interest in a WiFi manager is for the added ability to detect and connect to hidden WiFi networks. The odd thing is that they say that this application is not compatible with my device, but I think it is just like the many other applications that are for some reason blocked in this country. The application is blocked in some countries (now in KSA) as many other worthwhile applications, and it cannot be downloaded from Android Market. It would be great if you can offer a mirror for the same .apk file on Google code for example or other similar trusted websites. The funny thing is, I always make sure to select “All countries” whenever I publish an update. I wish Google would fix that Market piece of disaster.